I like to go with my parents to the Stake conferences in the variouse zones. I like to meet people and say hello to the Elders. I especially love the Catan zone. The people are so kind and sweet (as they are everywhere). The conference was the best one I have been to since we moved here, it was so good. 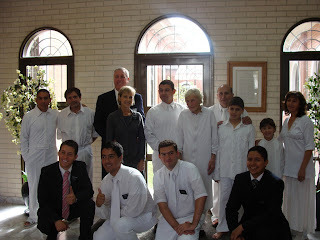 Afterwords we went to a baptism for some Elders in the zone. There was this little girl that was the cutest thing ever. 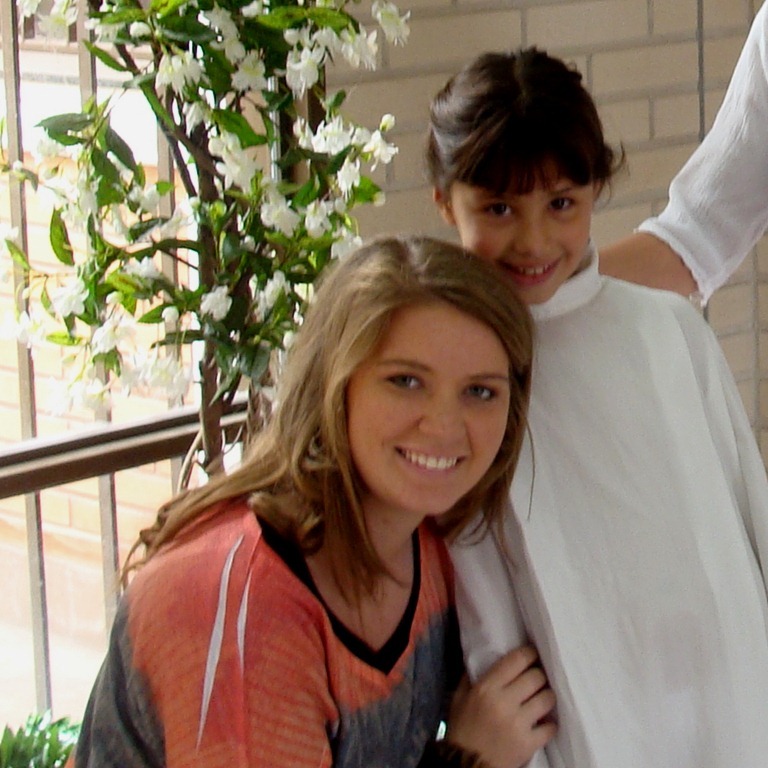 She had just turned 8 the day before and she couldnt have been more happy to be baptized. Before and after she had the sweetest smile on her face, and it just filled my heart with joy to see the happiness that she had for this special moment. I braided her hair before she went in, and she was so excited. I loved having a little part in her babtism. It was such a sweet family. Another set of elders baptized an older woman, that even at her old age was able to dip down into the waters of baptism...its never too late. During her confirmation she was whispering "Gloria, gloria" "Gracias Dios" and even though it was a little strange to hear someone talk during a prayer, but she was expressing her love and gratefullness and her intentions were pure. I am so happy for both familys, they are blessed with good elders!